All of a sudden, the very act of choosing something as simple as a business name has also become challenging. All the good names have been taken. Or maybe not? If you’ve ever attempted to name a company or a product, you know that the process can be grueling. For others like me, naming a business wasn’t much of a challenge. After being defrauded of 120 British pounds by an online company (in the UK ) that promised to unlock my phone but didn’t deliver nor offer a refund, I thought to myself, is there a means of identifying companies that can be trusted by hearing what others have to say about their services. That was the birth of TrustOrRun. Should I trust these people or run away as fast as possible? Cool right? Naming my second company was all that easy. Almost Every name I came up with was taken until I decided to follow this cool tips I am about to share with you. You may already have a brand name for your new business but if not, take a step back as the right brand name can make a real difference. Let me help with a few easy tips. Rushing headlong into choosing a brand name without being clear of the messages you will be trying to convey is a far from ideal. Instead, you need to be able to determine those messages before you hit the drawing board or thinking board. Determine what your name needs to accomplish. What message should pop up when consumers hear the name? Take tantalizers, for example, the name itself makes a promise: you will be tantalized, excited, a mouth-watering experience. So, once you understand whatever message you want to pass and what consumers want from brands in that market, you can leverage on that along with your brand promise to develop the best brand name possible. TrustOrRun has a story. I was duped of my money. What’s your story? Can you get a name out of it? Human-to-human connections are the heart and soul of business. At the end of the day, you’re dealing with people — your company is solving problems, alleviating pain points, and providing delightful customer experiences. A story will definitely help you to reach these humans. Yahoo! – The term yahoo was taken from the novel “Gulliver’s Travels,” referring to certain unpleasant creatures that the founders of Yahoo! liked. HP – Named after their founders, Bill Hewlett, and Dave Packard. They tossed a coin to determine if the company would be named Hewlett-Packard or Packard-Hewlett. Packard won the coin toss but chose to leave it as Hewlett-Packard. Nintendo: The three words “Nin” “ten” “do” is Japanese for “we do all that we can, as best as we can, and await the results.” Nintendo is sort of a motto and company name all in one. Who knew that the gaming giant was so poetic? Steve Jobs used to work at a California or Oregon apple farm during the summer. He grew to really appreciate apples. Steve Jobs really liked the Beatles. Steve Jobs was three months late filing a name for the business, and he threatened to call his company Apple Computers if his colleagues didn’t suggest a better name by 5 p.m.
One of my favorite names is Omoalata (Pepper seller in Yoruba language). Omoalata Food services sell packaged local Nigerian soups, spices, and peppers. Isn’t that fun and creative at the same time? Some experts believe that the best names are abstract, a blank slate upon which to create an image. 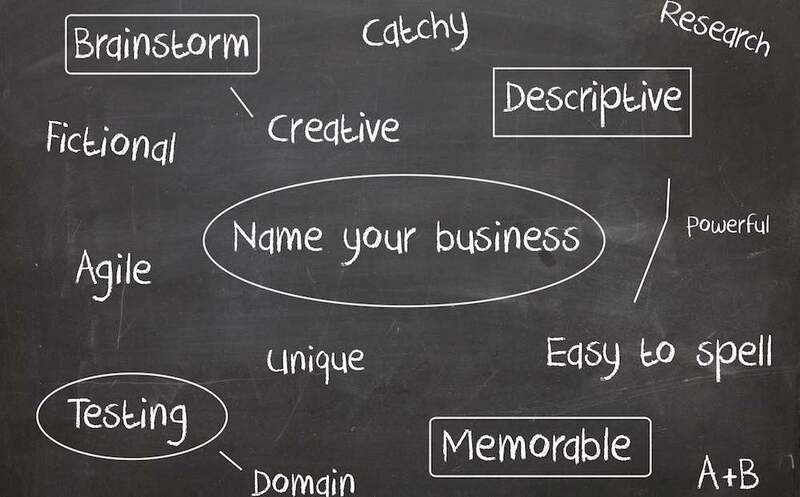 Others think that names should be informative so customers know immediately what your business is. Either way, you have to be creative. Especially now that almost every existing word in the English language has been used, you have no choice. Think Greek, French, Spanish and every possible language in the world. All the good names have definitely not been taken. Try registering a business name like “Uche & sons” or “Ogo Oluwa” group of companies with the Corporate Affairs Commission in Nigeria, and you will have yourself to blame. These are far too common names. Lesson: Before settling for a name, make sure the name you’ve selected isn’t trademarked, copyrighted or being used by another company. To ensure this, visit the search engine and type in whatever names you are considering. If it doesn’t pop up anywhere, it probably doesn’t exist. If it does, get another name. Don’t pick a name that is long, confusing or needs a professor to get the spelling right. Name your company “Weerasethakul Group of companies” and you are on your own. Generate a round of ideas and narrow them down to two or three. This implies that following your brainstorming session, you should come out with a list of potential names that will be open to evaluation by a third party. This leads us to the final point. Right. The name sounds cool to you. Unfortunately, your customers don’t like it. This is the kind of situation you want to avoid. Therefore, test your name through consumer research. Find out which choices resonate well with your target audience and which do not. Pitch your new company or product’s name to friends, family, and colleagues. Watch their reactions, and ask for their honest input. Through this testing, you should be able to determine which brand names are best, which need tweaking, and which need to be tossed immediately. It’s also possible that the testing phase will teach you that you need to go back to the drawing board and come up with a completely different brand name.